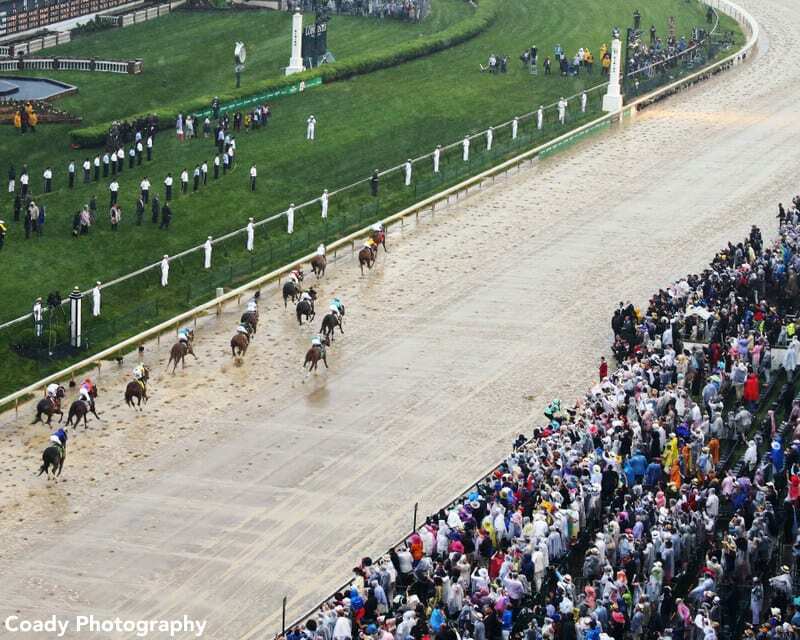 Equibase issued a new version of the chart for Kentucky Derby 144 Tuesday, one that sees dramatic revisions in the margins between horses in the middle of the pack. According to Daily Racing Form, speed figure makers expressed concerns that some of the margins had to be off. Among them, 10th place finisher Solomini was listed as 2 1/2 lengths ahead of Firenze Fire. The new chart corrects that to 12 1/2 lengths. The margin between 12th place Bolt d'Oro and the horse behind him, Flameaway, has been changed from a head to 6 1/4 lengths. And Flameaway is now listed as 4 1/4 lengths in front of Enticed instead of a head. Steve Peery of Equibase told DRF the mistake was a clerical error and apologized for the error. The main impact the revised chart will have is to change the final speed figures for the back half of the Derby field. This entry was posted in Horseplayers, NL List and tagged bolt d'oro, Derby chart, Derby margins, Derby order of finish, enticed, equibase, flameaway, kentucky derby 144, Kentucky Derby chart, Kentucky Derby margins, solomini by Paulick Report Staff. Bookmark the permalink.